On Thursday, March 6, Bitcoiners from across the United States and around the world will gather in Austin, Texas for the first Texas Bitcoin Conference. Attendees will have a stellar line-up of speakers to look forward to with ample time to network and take part in over 30 workshops and tutorials. Features over 30 workshops and tutorials for consumer friendly Bitcoin adoption, a $1 Million Hackathon for advancing the development of Distributed Autonomous Applications (DAA), A diverse list of distinguished speakers. The conference will be making history in the arts with the world’s first Bitcoin-exclusive concert featuring Grammy-nominated Carolyn Malachi. Bitcoin will be used as a force for good at this event with all concert proceeds supporting Bitcoin accepting charities! AUSTIN, DATE — The Texas Bitcoin Conference www.texasbitcoinconference.com is rapidly approaching. The event will be held March 5th and 6th at the Technology and Conference Center at the Circuit of the Americas Formula 1 complex (9201 Circuit of the Americas Blvd., Austin, TX. 78617). In light of the recent Mt. 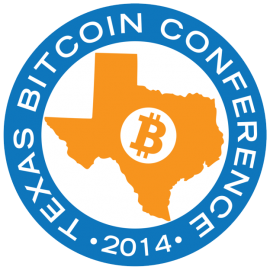 Gox debacle, the Texas Bitcoin Conference has added a “Mt. Gox Explained” panel discussion on March 5th. The recent events surrounding Mt. Gox underscore the need for honest, transparent and auditable exchanges and Bitcoin endeavors. 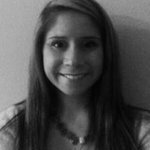 The Texas Bitcoin Association looks forward to educating merchants, consumers and the curious public about Bitcoin adoption. Networking is a priority for the organization, with space and program time set aside for inventors, entrepreneurs, engineers and all attending to connect. The Bitcoin 2.0 Hackathon: Building Next Generation Decentralized Applications & Protocols will take place both days. Teams will compete for more than $1 million in prizes and contracts in an event organized by the Mastercoin Foundation, Open-Transactions (Monetas), Ethereum, BitAngels, Ripple and others. The Texas Bitcoin Conference will be making music history with the first ever BitCoinCert! www.bitcoincert.org The concert features Grammy-nominated Carolyn Malichi, the first known recording artist to accept Bitcoin payments for her music along with local favorites such as Eric Tessmer and Kalu James. The concert takes place Thursday, March 6th at 8:30 p.m. Volunteers are ready to help concertgoers new to Bitcoin quickly get empowered to purchase tickets with Crypto-currency. The suggested donation price is $25USD in Bitcoin. Proceeds from the concert will support local and national service organizations. From a local perspective, the concert will support Without Regrets www.withoutregrets.org and Austin’s own Capital Area Food Bank. The Capital Area Food Bank is a Federal Reserve of food pantries and food banks across Texas. Three organizations powered solely by Bitcoin will also be featured beneficiaries, including Sean’s Outpost homeless sanctuary in Florida, www.seansoutpost.com Bitcoin not Bombs www.bitcoinnotbombs.com and Fr33aid www.fr33aid.com Sean’s Outpost founder Jason King is running an ultra-marathon across the country that began in Miami on Jan. 26. He is expected to make an appearance at the Texas Bitcoin Conference on March 6. Bitcoin as technology, Bitcoin as an ecomonic force, Bitcoin as a Force for Good. All aspects of this exciting community will be explored during the two day event.